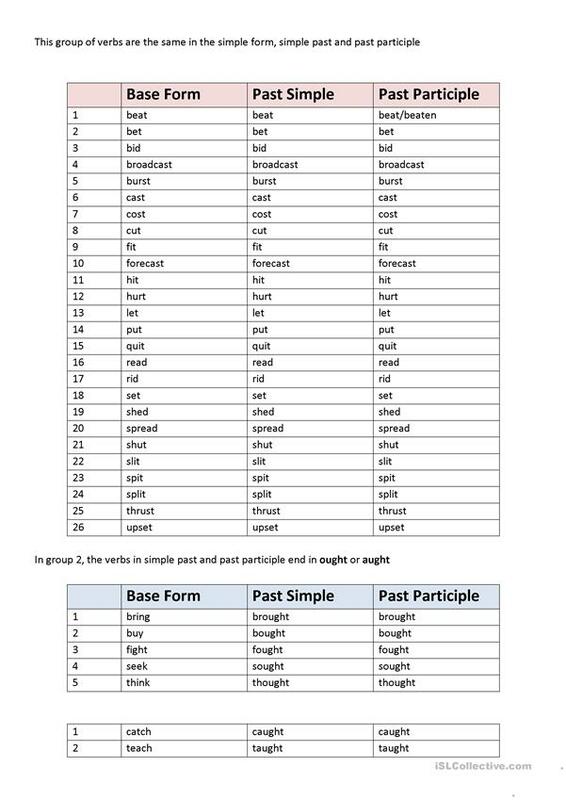 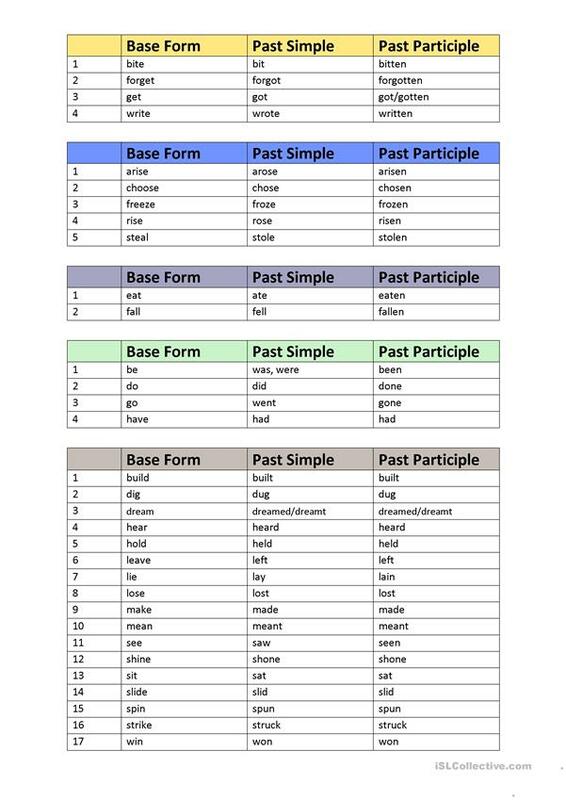 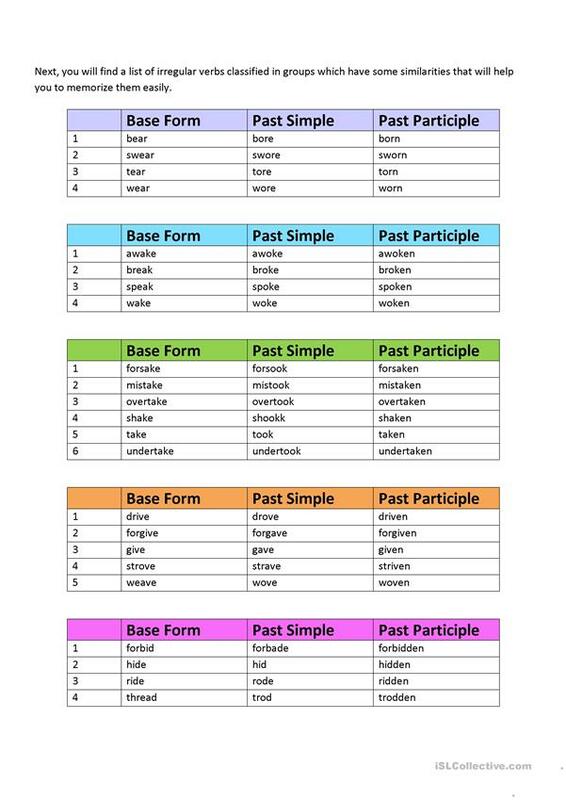 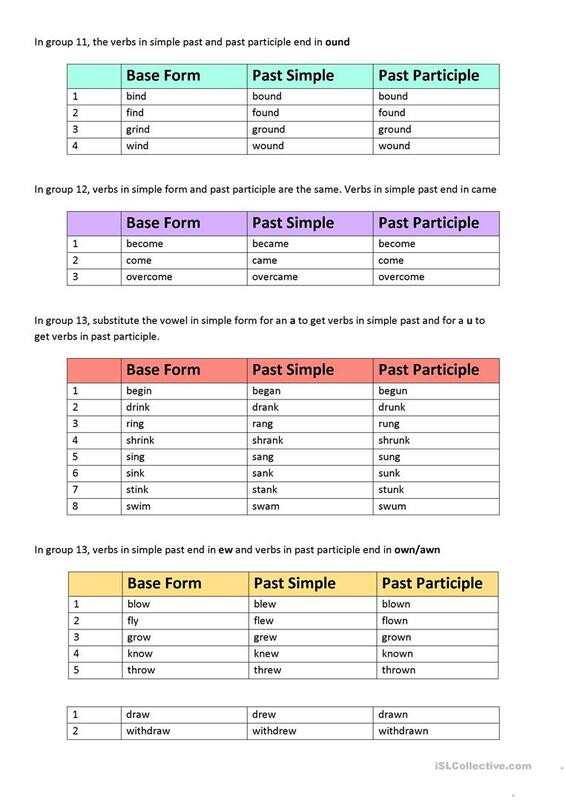 A list of irregular past simple verbs, in groups. 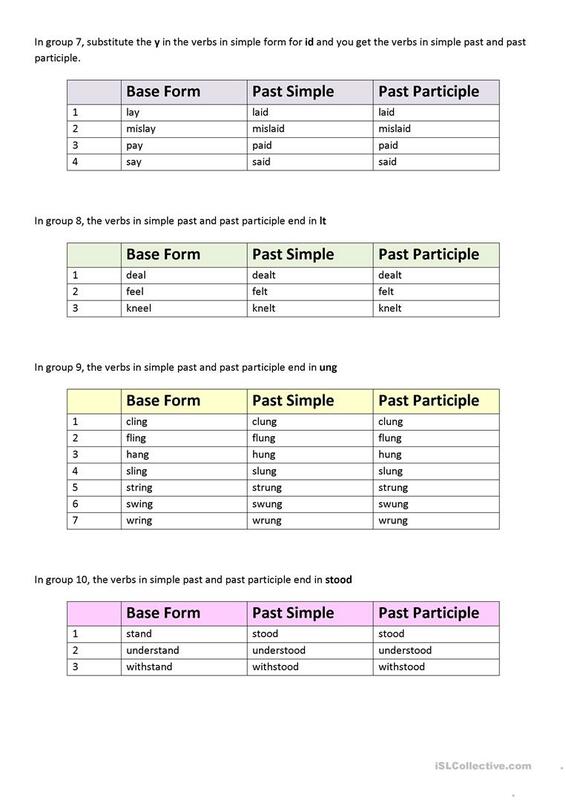 The above downloadable worksheet is recommended for adults at Pre-intermediate (A2) and Intermediate (B1) level. 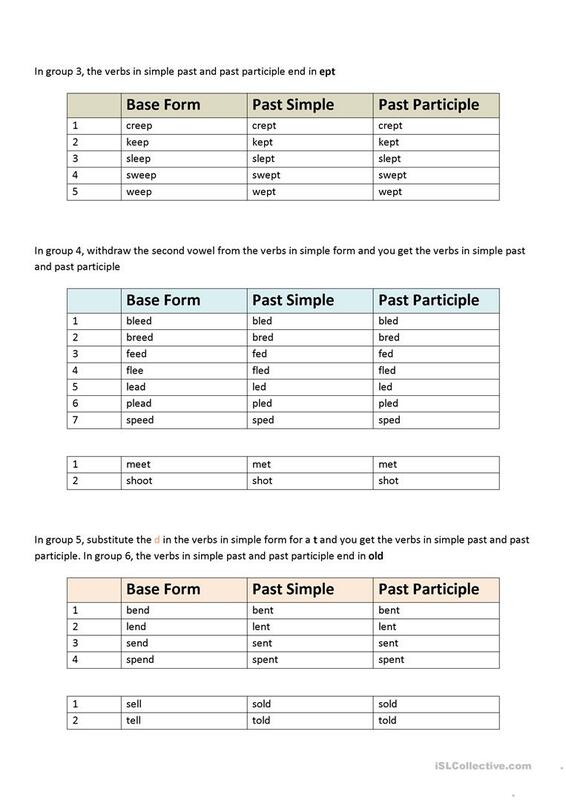 It is valuable for teaching in English, and was designed for working on your groups' Reading skills. lycia is from/lives in Italy and has been a member of iSLCollective since 2013-02-13 10:44:26. lycia last logged in on 2013-08-05 16:53:12, and has shared 1 resources on iSLCollective so far.